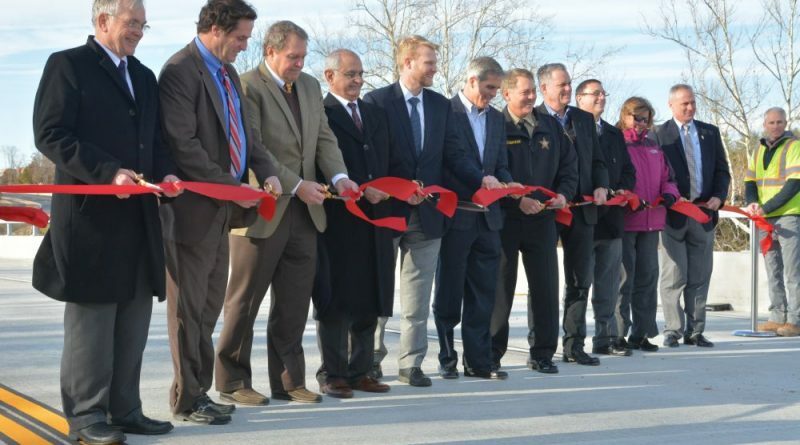 State and local officials and developers have cut the ribbon on the Pacific Boulevard extension to Russell Branch Parkway, completing the last link in the Gloucester/Pacific Comprehensive Transportation Plan, connecting Ashburn neighborhoods across the Broad Run, and opening the path to development at Kincora. The Pacific Boulevard extension is a four-lane divided roadway connecting from just north of Gloucester Parkway to Russell Branch Parkway. The roadway adds a fifth crossing of the Broad Run and provides motorists with a parallel road network to Rt. 7 and Rt. 28, as well as providing a shared use trail along the Pacific Boulevard extension. The Kincora developers say these improvements will enable 70 percent of Loudoun County’s population to get to and through Kincora without having to use either Rt. 7 or Rt. 28. VDOT Transportation and Land Use Director for Loudoun County Farid Bigdeli said the department of transportation predicts 30,000 vehicles will use the new road annually within 15 years. 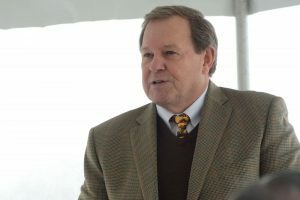 The extension is the result of a public-private partnership between Loudoun County, the Commonwealth of Virginia and Kincora, formed to respond to a significant regional transportation challenge. The public-private partnership was able to monetize Kincora’s future development rights creating a $76 million financing plan to build the Pacific Boulevard extension and the Gloucester Parkway extension – both new crossings of the Broad Run. From the initial funding to completion, the projects have taken three years. According to the developers, the new infrastructure is in place at least 10 years sooner than if Kincora’s infrastructure had instead been triggered by density levels being achieved at Kincora. Kincora has repaid more than $8 million to the Virginia Transportation Infrastructure Bank for this project creating additional funding for other critical projects in the commonwealth. The road opening also marks the completion of the community’s main infrastructure, having been constructed before any vertical development occurs. The development will include millions of square feet of office and retail space, hotels, a cultural and science center, and 1,400 apartments and condominiums. Predictions from VDOT and platitudes from Meyer which do I believe, neither!